VIENNA (AP) — Britain's foreign secretary warned anew against a "messy divorce" with the European Union that could poison future relations as he visited Austria on Wednesday, bringing his message to the country that holds the EU's rotating presidency. Britain is due to leave the EU in March, but the two sides have not agreed on their future relationship and concerns are mounting that no deal will be reached in time. Differences persist over the terms of a new trade setup and how to regulate the border between Northern Ireland and EU member Ireland. "We are very concerned that, as things stand at the moment, we are heading for 'no deal' by accident — a 'no deal' situation which would have a profound impact on the relations between Britain and the EU countries for a generation," Foreign Secretary Jeremy Hunt said after meeting Austrian counterpart Karin Kneissl. Hunt said Prime Minister Theresa May has made a "big choice" in seeking a close future relationship with the EU, with the U.K.'s economy remaining closely integrated. "There is a real risk of a messy divorce, which would be a huge geostrategic mistake," he said. 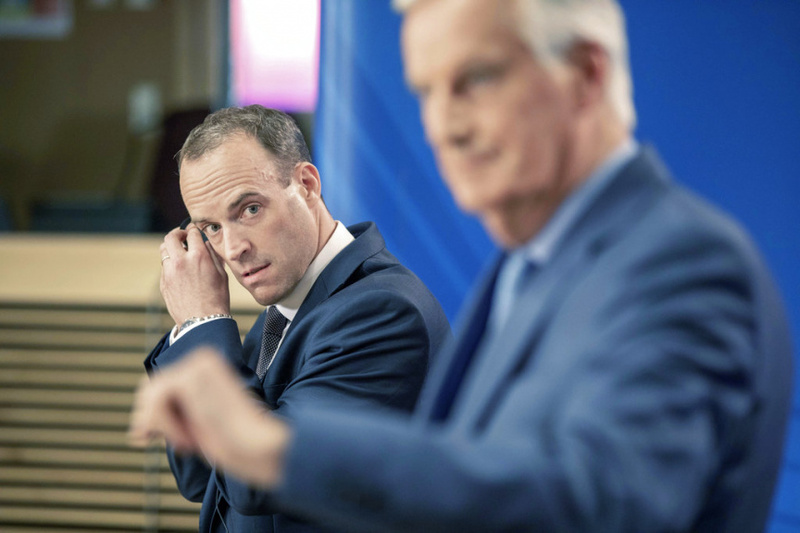 Hunt, who took a similar message of appeal to Germany and France in recent days, dismissed suggestions that London is going over chief EU negotiator Michel Barnier's head to individual governments. Brexit negotiations are being led by the EU's executive Commission. "We don't want to negotiate with anyone other than the EU Commission; we recognize that that is the correct and legal thing to do," he said. "But in the end, the outcome of those negotiations are a choice for European countries from whom the Commission gets its mandate." Hunt said that "time is very, very short" but a delay in Britain's departure is "highly unlikely." Kneissl said there is "a high degree of cohesion" within the EU on Brexit talks, even though the bloc is divided on other issues such as migration. She said that "we have a pragmatic attitude" toward the negotiations.